New applications for U.S. unemployment benefits fell last week, indicating continued job growth after a slowdown in March. 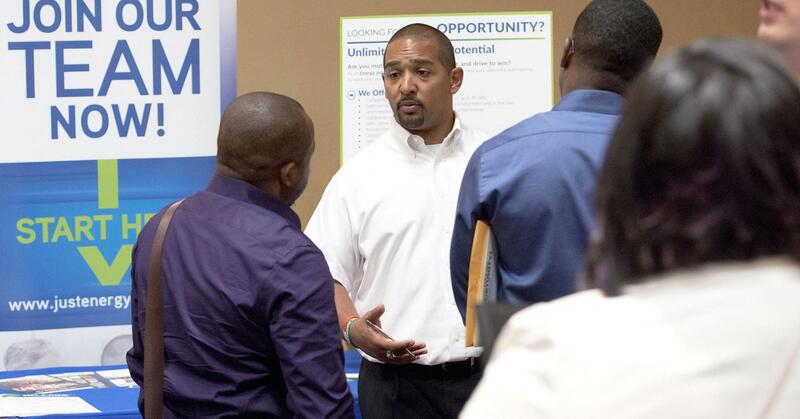 Initial claims for state unemployment benefits fell 1,000 to a seasonally adjusted 232,000 for the week ended April 14, the Labor Department said on Thursday. Data for the prior week was unrevised. Economists polled by Reuters had forecast claims falling to 230,000 in the latest week. The economy created 103,000 jobs in March, the fewest in six months. Economists largely dismissed the slowdown as payback after strong gains in February. They also blamed cooler temperatures for the moderation in hiring. The Fed’s “Beige Book” report on Wednesday indicated that businesses remain upbeat about the economy, with tight labor markets and strong borrowing seen as a sign that economic growth is likely to continue. The document, a compendium of opinions about the economy gathered from business contacts throughout the Fed’s 12 regional districts, highlighted growing labor shortages across high-skilled occupations and in the construction and transportation sectors. The Fed raised interest rates last month and forecast at least two more rate hikes for this year. The Labor Department said on Thursday that the claims data for Maine and Colorado were estimated, while claims-taking procedures in Puerto Rico and the Virgin Islands had still not returned to normal after being devastated by Hurricanes Irma and Maria last year. The four-week moving average of initial claims, viewed as a better measure of labor market trends as it irons out week-to-week volatility, increased 1,250 to 231,250 last week, from an unrevised 230,000 in the previous week. The claims report also showed the number of people receiving benefits after an initial week of aid fell 15,000 to 1.86 million in the week ended April 7. The four-week moving average of the so-called continuing claims rose 6,750 to 1.86 million.